Srinagar: Expressing serious concern over the escalating tensions between the armies of India and Pakistan especially in Poonch and Rajouri sector resulting in immense damage, Hurriyat Conference (M) stated that every time there is exchange of firing on the LoC, people on the both sides of fence become the primary target and bear the brunt. In a statement, Hurriyat Conference (M) said that the lingering Kashmir dispute was the main reason of rift between India and Pakistan and until the issue of Kashmir is resolved amicably the bitterness between the two countries prevailing since last seven decades won’t end. Demanding the rollback of anti people highway closure order, Hurriyat (M) stated that barring civilian traffic on the highway twice a week has caused immense hardships for the common masses. The statement read that decision of closing highway for two days a week is an anti people move. Hurriyat (M) strongly denounced the shifting of Jammu and Kashmir Liberation Front Chairman Muhammad Yasin Malik already under PSA from Jammu Jail to Delhi and handing him over to NIA and also the ED summon to the minor daughters of resistance leader Shabir Ahmed Shah and shifting of resistance and religious leaders to Haryana jail. 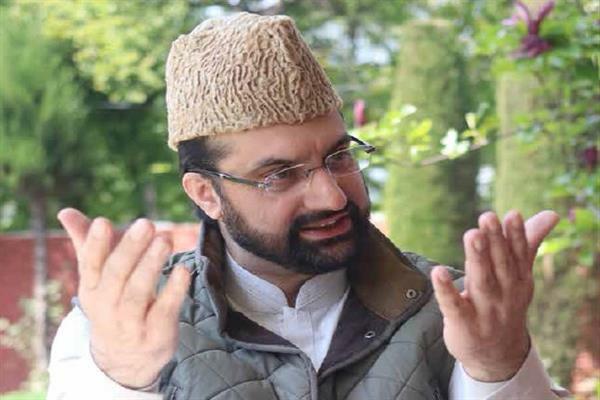 Hurriyat Conference (M) said that shifting of prisoners to outside prisons was against the Geneva Convention and also the Supreme Court of India rulings that stresses on lodging the inmates in jails closer to their homes.